Frontiersman Bear Safe Carrying Bag | BUDK.com - Knives & Swords At The Lowest Prices! 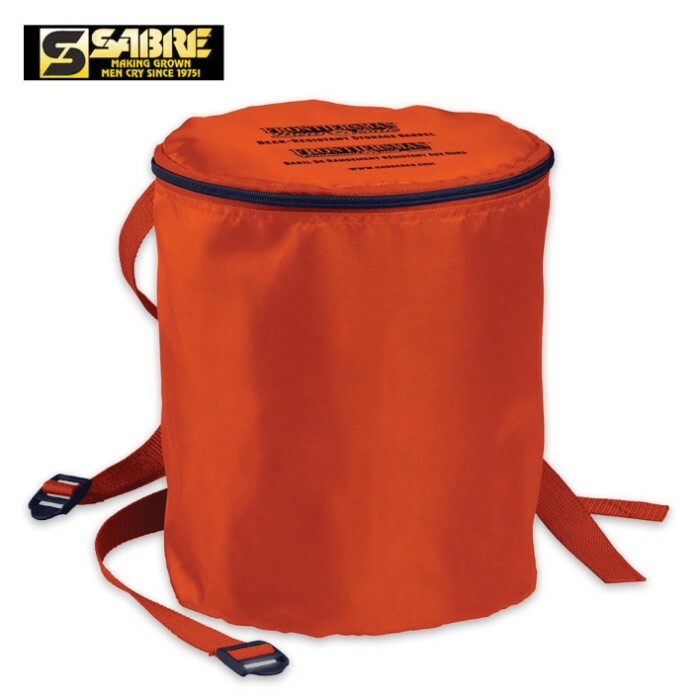 Bag your bear safe barrel up in this carrying bag for much-improved ease of transport. This bright orange bear safe carrying case is the must-have companion to your bear safe, allowing you to strap it to your backpack and carry it with ease. It’s crafted of lightweight but durable nylon with zip closures and adjustable straps.